First of all Shaka, I would like to thank you for taking the time out for this interview and being on Black Diamond's Book Reviews! Cheryl: If you have to describe yourself with one word, what would it be? Cheryl: Could you tell me a little about yourself? Shaka: I was born and raised in Detroit. Around the age of 13, I began to dabble in drugs and by 14 I was fully immersed in the culture. I got shot several times at the age of 17, and by age 19 I was sentenced to serve 17 to 40 years in prison and ultimately served 19 years. I was released June 22, 2010 and have spent a lot of time mentoring and trying to grow my business. Cheryl: When did you start writing and how did you get started? Shaka: I have been been writing since 1992; however, I didn't begin taking it serious until 1999. Cheryl: Do you have any rituals that you use when you are writing? Shaka: I like to listen to real loud hip hop and rock and roll. Cheryl: How many books have you written? Shaka: I have four novels complete along with a poetry book. Cheryl: What is the main source of inspiration for your writing? Shaka: Reaching and inspiring at-risk youth to reach the heights of their potential is my ultimate goal as a writer. Cheryl: Is there a place you go for inspiration to write? Shaka: I am inspired by the energy of day to day life. Cheryl: Are you reading anything right now? Shaka: I have been too busy to read lately. Every time I try to find a moment to read, I am being pulled away by business. However I really miss the luxury of reading. Cheryl: What are some of your favorite books and authors? Shaka: My favorite books are mostly non-fiction: Autobiography of Malcolm-X, Assata Shakur's autobiography, Blood in My Eye by George Jackson. I also love Dopefiend by Donald Goines. Cheryl: Has writing your own book changed the way that you read? Shaka: Yes it has. I am more critical of writers, and less patient when it comes to writings that have a slow start. Cheryl: Are you able to read when you’re writing and if so what books inspire you when you’re working on a novel? Shaka: I can't read anyone else's work when I am working on my own, because it makes me feel guilty for not writing. Cheryl: What is a typical day in your life like? Shaka: Chaotic LOL. Typically I am out networking and making business connections. 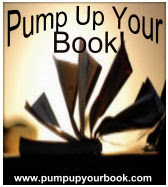 Recently I opened my book store, and so now my days are spent trying to promote and market my books. Cheryl: Are there other books you love or writers you admire that are from your local area? 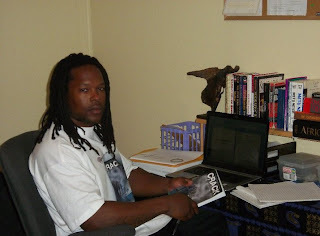 Shaka: Donald Goines is my favorite author from Detroit; however, I love all the writers that are out here doing their thing in the book game. Cheryl: Who was your favorite character to write, and why did you like that character? Shaka: My favorite character is Damu who appears in Crack Volume 1 & 2. What I like about Damu is his sense of family loyalty and his intelligent and strategic approach to business in the streets. He's not the typical high school drop out drug dealer. He's a sophisticated gangsta who appeals to the streets, women, and everyday people. Cheryl: Did you have to do much research when working on Crack Volume 1. If so, do you tend to write first or research first? Shaka: I do some research just to make sure the story has continuity and flow. However, I write first and come back and tighten up anything I may not know as I am writing. Cheryl: When deciding to write Crack Volume 1, did you know right away how the story was going to go, or did the story unfold as you were writing? Shaka: The story unfolded as I wrote it. I knew I wanted to write a story with strong characters, and I think I accomplished that. However, it was important for me to allow my characters to be who they were designed to be. Cheryl: What’s next for you? Shaka: Well, I just released Crack Volume 2, Crack Volume 1 is in the process of being turned into a movie, and I am looking forward to releasing a new novel called Flagrant Foul as well as my memoir at the end of the year or at the beginning. Cheryl: What three artists would I find in your Ipod or CD player? Shaka: Charlie Picasso, Tez N Tone Connect Game, and Jay Nutty and Blackface--all local Detroit rappers. I love the vibe and energy of their music. Cheryl: If I came to your home and looked in your refrigerator what would I find? Shaka: Turkey, fish, chicken and Simply lemonade. Cheryl: What is one food item that you can’t live without? Cheryl: What do you like to do when you are not writing (hobbies, etc.)? Cheryl: What famous person do other people tell you that you most look like? Cheryl: What is the one thing about yourself that others would be shocked to know? Cheryl: What advice would you give to those aspiring writers out there? Shaka: Stay true to your vision as a writer and take the time out to hone your craft. Cheryl: Choose a book title for the story of your life. Shaka: My second chance at a second chance. Cheryl: What is next for you in 2011? Shaka: Looking forward to introducing Crack the movie to the world along with my documentary. Cheryl: How can your readers contact you? Shaka: I can be reached by phone 313-720-5546, via email streetjewels@gmail.com, website www.dropagempublishing.com facebook Shaka Senghor or they can visit me at Drop A Gem Book Boutique located inside FAME SHOP 10608 Joy Rd. Thank you very much for taking the time out to answer my interview questions! If you are influenced to buy Crack Volume 1 after reading my review, please let Shaka know on his Facebook page. This is for a very cool contest! If you are influenced to buy Crack Volume 2 after reading Orsayor's review, please let Shaka know on his Facebook page. This is for a very cool contest! Shaka is a man with purpose. Locked up for more than eighteen years, he has used his incarceration as a vehicle for change. Through years of study and self-reflection, he has transformed himself from an uncaring “thug” into a principled, progressive man who refuses to allow his circumstances to define who he is or what he’s capable of. Once a very angry, bitter young man, it was books that saved him from self-destructing and allowed him to see beyond the barbed-wire fences that held him captive. In an environment where hopelessness and despair grow like weeds, writing became his refuge. Eventually, he began writing creatively, tapping into the growing interest in street/hip hop literature. The author of six books and countless articles and short stories, he is inspired by revolutionary prison writers like George Jackson, Malcolm X and Donald Goines. Unlike other street lit authors, Shaka doesn't celebrate the violence and desperation in our community; he raises critical questions about the state of Black America in his writing. 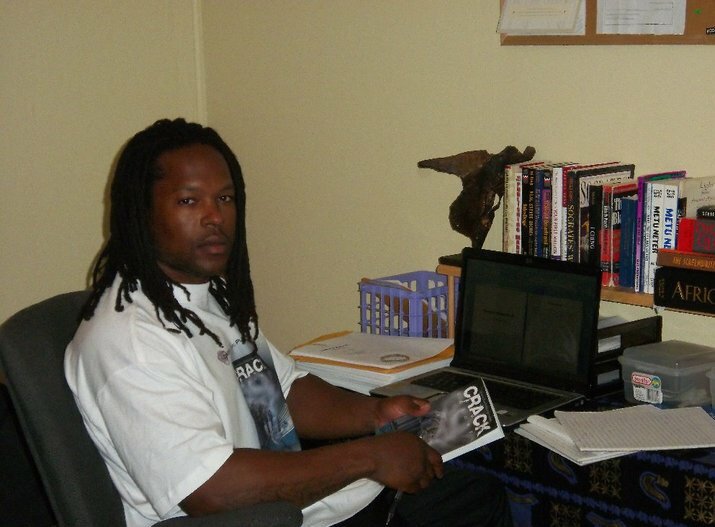 You can purchase a copy of his first published book, "Crack Volume 1," at www.dropagempublishing.com. 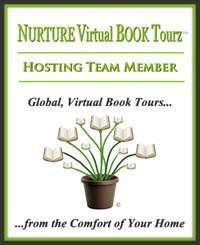 © 2011, Cheryl of Black Diamond’s Book Reviews. All Rights Reserved. If you reading this on a site other than blackdiamondsbookrev.fatcow.com, Urban Image Magazine, or Cheryl’s feed, be aware that this post has been stolen and is used without permission. I'm glad that he has changed the course of his life...for the better. He's a real inspiration to those who think drugs/crime is the way they should live. Great post! I had to come back and read this interview. I enjoy learning about authors and their lives that inspired them to write. I really love this author interview. I love the questions and the information you share at the end of the interview. Well done!